There comes a day when we realize that looking for external solutions to our problems just won’t work. How vain has been the time and energy spent looking for the perfect mate or partner, the perfect job, the perfect life. So instead, we start to search for internal solutions; we begin to change ourselves. To change ourselves is a different process from controlling ourselves, which cannot be done. But when we start to give up the control, the rigidity, the perfectionism, the self-will, we begin to change. This change seems like a miracle because it is! It’s an incredible gift from the Universe, who loves us beyond our imagining. The more we change our focus from the external to the internal, the more we’re able to accept ourselves. We become humble with each small choice to accept ourselves as we are. We become whole as we let that choice be enough for today. Are you living within yourself or outside of yourself today? To keep the focus within requires self-acceptance. Posted on May 12, 2011, in Addiction, Life, Life's Lessons, Mental Health, Opinions, Personal Growth, Personality, Relationships, Self Discovery, Self-improvement, Spirituality and tagged Bernard of Clairvaux, Change, Change myself, External Solutions to Problems, Humility, Internal Solutions to Problems, Looking for the perfect, Perfect Job, Perfect Life, Perfect Mate, Perfect Partner, Perfectionism, Self-acceptance, To Become Whole, Vain, What we love we shall grow to resemble. Bookmark the permalink. 11 Comments. Thank you for your very kind comment. I’ve been reading all day so I’ll have to check your blog out tomorrow; you always seem to have inspiring words. I wrote a few random writings today, but on a different colored note, in violet. I’m adding you to my blogroll then! Please, I would love for you to add mine, honored as well! Mark- do you mind if I put you on my blogroll? Only if I may add you to mine! Of course. I’d be honored. What we love we grow to resemble. Thanks, that is great! As long as I don’t buy a hound dog!! Just kidding, that is a really beautiful saying or words, I love it! You’re already too beautiful to be considering a hound dog! Something more exotic and deserving of pampering for you, right? I have so enjoyed the comments from you! Please, make them anytime! Such simple words, yet they open up to a world of possibilities. As an inner wanderer myself, I can perfectly understand and feel the value of your words. Everyone’s nowadays talking about all these financial, economic, environmental and human problems, and everyone keeps pointing at the government and the existing social structures to solve these problems. Yet few seems to truly understand that society consists of individuals, so each one of us has an important responsibility too towards himself and his external world. While it seems an individual can do absolutely nothing to change society, I think this is a critical mistake. When he sees that his own ideas and opinions about the world are mainly the preformed and highly prejudiced ideas of an extremely materialistic society, he learns that he doesn’t possess any idea which is truly, uniquely of his own making. He needs to learn how to make his own footsteps instead of blindlessly following the horde towards an inevitable path of self-destruction. This involves a painful confrontation with one’s own neglected soul. It’s a long, slow, painful and difficult process, but it’s infinitely more genuine and liberating than all those contemporary alternative therapies which promise nothing more than Paradise itself. And you know the most tragic part about the modern schism? All these external problems and tensions are allowed to develop so dangerously because they are really the external expression of a deep denial of our inner responsabilities and inner Beauty of human contraditions. To accept that we are vessels of human contradictions is indeed a blessing. We need to learn to accept ourselves who we are, namely imperfect human beings. We are not born as the apex of evolution, but we are given a chance to become a beacon of human evolution, a lantern of human dignity and respect. Accepting our shadows, failures and incompleteness makes us naturally more humble, honest and self-aware; the external world thus becomes an extremely subtle friend instead of a rough enemy. If we cannot learn to take back our external projections, if we cannot learn to confront and accept our inner darkness, if we don’t try to overcome our prejudice towards our inner Unknown, we will never find genuine peace (both inwards and outwards), but instead we will keep fighting our own shadow externally until… (I don’t really want to know what would happen then). First, I must thank you for your comment. It is so well stated and well written. I have read, and re-read it, I don’t know how many times. I am deeply touched by your insight and sense of Spirit. I am so honored to have your thoughts shared here on my blog. Thank you for reading my blog and I sincerely hope our “e-paths” cross once again. Wow, I love that. Thanks. You are so very welcome! Thank you for taking time to read my blog and to leave your comment! It’s interesting you bring up control versus ability to change. I’ll have to think that one over and apply it to a situation, see what I come up with. 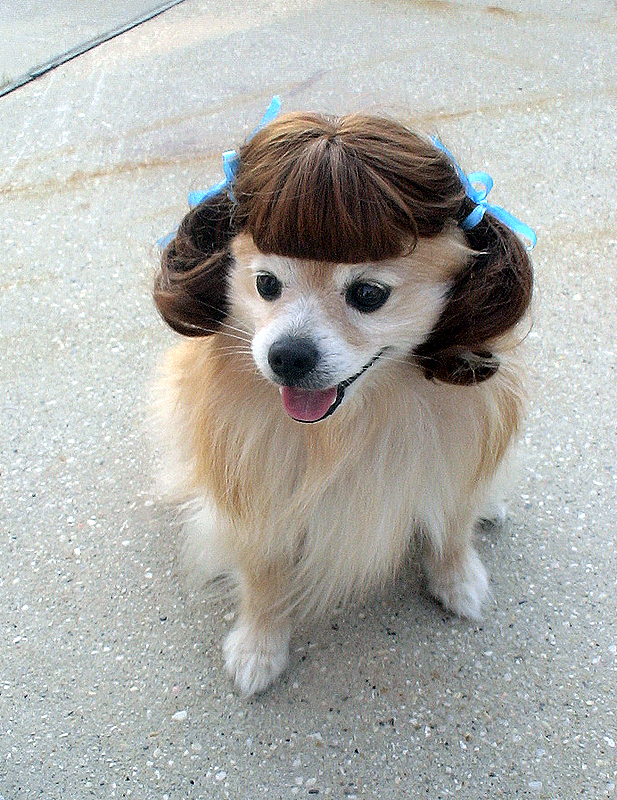 Funny dog in a toupe! Yeah! Yep. I think I’m me…. Check out my blog see if you like at all—I’d greatly appreciate it! Welcome it! Thank you for reading my blog and offering your feedback. I speak only from my own experience, sharing what I’ve learned along the way. This doesn’t mean everyone ticks the same way and will end up with the same result. I appreciate your openness. Good luck and I hope I may have helped you find a new tool! I love that picture of the dog too! I laughed so hard when I came across it because I have an acquaintance who looks exactly like this pup! I have one more that’s similar and I’m going to add it as well. You’ll appreciate it! Check it out! I’m going to check out your blogs for sure!